Why hasn't anyone told me about this autopilot thing before? 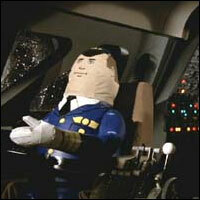 Sure, I have heard of planes with autopilot before but had never flown one. On tonight's flight we flew a Cessna 172 that was nicely equipped with GPS and autopilot. I have only flown an aircraft that has GPS a few times so just having that was nice. I was excited to see how the autopilot worked. I was flying with Matt, an instructor at Northwest Aviation, since it had been a while since my last flight. We had a perfect night for flying as the temperature was in the mid-fifties. We had 10 miles of visibility and wind was less than five knots. I was surprised that with the beautiful weather the airport was not too busy. I took off on runway 29 and headed west. Schaumburg's airport is located under the shelves of O'Hare airspace so we flew under 2,000 ft. for a while. Once we got to the practice area we did some of the basic maneuvers: slow flight, stalls (power on and off) and 45° bank turns. After that we decided to fly to a control towered field, Dupage, for some landings. On the way Matt showed me how the autopilot worked. We first set the GPS to give us a direct course to Dupage Airport. Once we had the best course we entered it into the autopilot and set the altitude we desired, we turned on the auto-pilot. I let go of the yoke and pulled my feet from the rudders and the plane started to fly itself. It handled the turn to the proper heading and descended to the new altitude and maintained it once we reached it. As I contacted the tower and received our landing instructions and clearances, I would simply give the autopilot new instructions for heading and altitude and it would handle the rest. It was really neat to see. It allows the pilot to concentrate on doing checks for traffic, monitoring the gauges and to handle some navigation tasks. As we turned onto final approach for Dupage runway 20R I disengaged the autopilot and made a nice landing. We circled around and did a simulated engine out landing before heading back to Schaumburg. It was a great night of learning and flying. It was great to get more experience with a GPS enabled aircraft and to explore the benefits of autopilot. I have a feeling there will be more flights in this plane in the near future. The Cessna with the GPS and Autopilot was about $10 more than the basic Cessna. But, since the airport is situated so close to O'Hare it is nice to have it and worth the few extra dollars. Todd, it was great to read about you getting back into the air. I recently had a simular experience. I went flying down in Florida with a buddy, and got to fly around in a G1000 equipped 172. We used the autopilot extensively and pretty much had the same epiphany about auto pilot. ...but remember, giving pitch control to the bird means that she's just barely smart enough to kill you. These simple autopilots don't give a hoot about airspeed. I flew a coupled ILS apporach in the Skyhawk, simply managing power settings. But remeber the bird will pitch for the decent or ascent commanded... which means she can pitch herself right into a stall, if you don't stay on top of power. Great pint about managing power settings while on autopilot! I enjoyed read about your recent flights! One important thing to remember Todd is the autopilot is a tool that should be used to free up your time to be more attentive to your other tasks. Just got back from flying and thought I'd share this. Tonight (or anytime we chose actually) I turned on the autopilot and linked it to the aircraft in front of me. Whatever he does, it keeps me at the distance back I set (4000') and the distance laterally I set (700' right), we have auto thottles as well. The only thing I have to touch the yoke for is climbs or descents, and it levels out at the set altitude automatically. Pretty useful when you are actually flying formation in the weather and can't see the plane in front of you. Thanks for being great hosts in Chicago--we'll have to come back some time when the Reds are playing the Cubs!